Avril works as Project Assistant for RD-Connect, supporting the coordination team and project partners with administrative and financial matters. 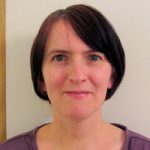 Avril worked at Newcastle University in the research grant finance department for several years where she was responsible for liaising with sponsors for research funding. She moved to Seattle in 1999 and spent several years working at the University of Washington, providing administrative, budget and database support for risk management in the hospitals and clinics managed by the University. She moved back to the UK in 2012 and has been working on RD-Connect since January 2013.